How Do I Pressure Test a Car Cooling System? Cooling systems are vital to any car running correctly, and are often time mis-diagnosed. This is because a lot of technicians today over think it, and often times forget to check the little things. 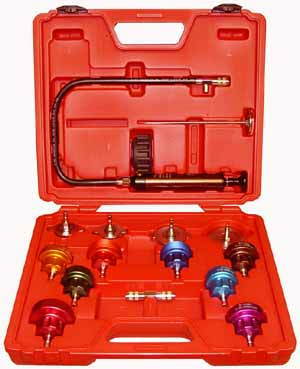 This article is aimed at the backyard mechanic or everyday do it yourselfer. 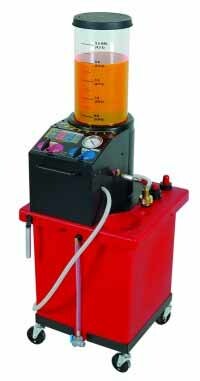 It will help you to understand how to properly pressure test your vehicles cooling system. 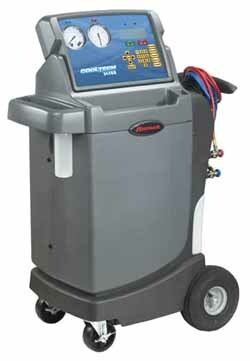 This is one of the simplest, yet most effective tests for diagnosing a cooling system. How do I Flush my Automobile Cooling System? 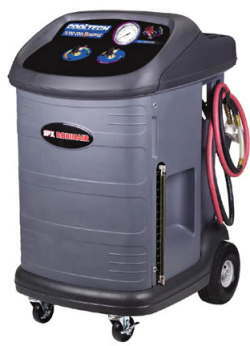 Your vehicle’s cooling system can become corroded after years of use. This corrosion occurs from the minerals in your coolant collecting inside your cooling system. Some other damage may occur over time due to old age of your vehicle’s cooling system. Another damaging factor could be that your vehicle has some sort of mechanical malfunction which damaged the cooling system. Installing rear brake pads on a vehicle equipped with an integral parking brake may be difficult if you don’t know what you are doing. For those who do not know an integral parking brake means that your caliper piston does two jobs. First it applies pressure to the pads when you press the brake pedal. Second it has a ratchet mechanism to apply pressure when you press the parking brake. How this system works is the caliper piston instead of just pushing out like it would on a normal system, rotates while it comes out. The rotation is how the parking brake applies. This is what makes changing brake pads difficult on these vehicles if you don’t have the correct tool. You need a tool that rotates and presses the piston in at the same time.